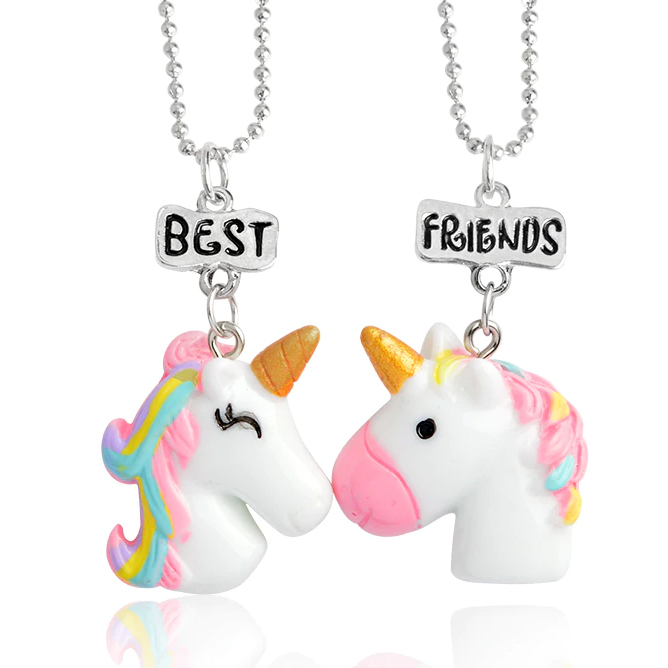 Show your BFF you really love her with this super cool Unicorn Best Friends Necklace Set. This product is a set of 2 separate necklaces so each best friend can wear a magical unicorn around their neck. *Zinc alloy + resin charm.